This giveaway is now closed and the lucky winner is Allie! I've been looking forward to this giveaway for a long time because out of all of the giveaways we've done here at Book Nook Club, this is the giveaway I would most want to win. Kelly Mitchell at The Write Stuff Design makes some of the most gorgeous book purses I've seen out there. They aren't just book purses, they are fashion pieces designed with coordinating fabric and beautifully designed handles that work well with the chosen book. Here are some of my favorite pieces of her work. 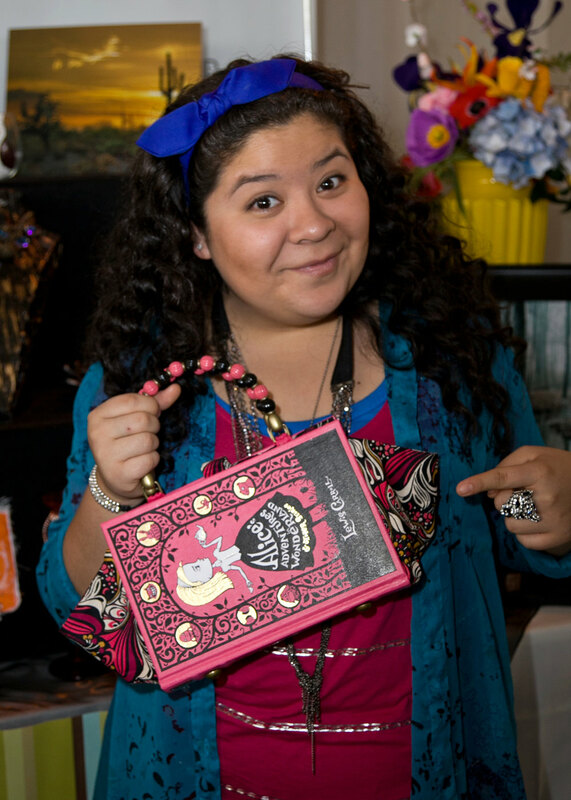 Just last week, Kelly's Alice in Wonderland purse (my favorite) was featured at this year's 2012 GBK's Golden Globe Gift Lounge. Always wanted to accessorize like the stars? Now is your chance. Need other reasons to love these book purses? When not in use, the handles on each purse may be folded inside the purse and you can store it on a bookcase just like a real book. There is also a narrow pocket inside perfect for your phone or your touch-up lip gloss. The spine is reinforced with heavy cardboard and if you treat your Book Purse like you would treat a treasured old book, you will be able to enjoy it for years and years to come. 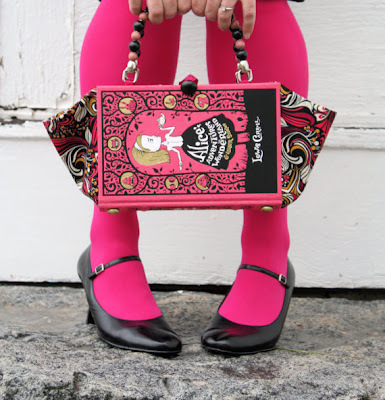 Kelly has generously offered to giveaway one book purse - the Alice in Wonderland one or any other purse up to $65 - to a Book Nook Club reader just for commenting on this post. Like Book Nook Club on Facebook. Like The Write Stuff Design on Facebook. Check out The Write Stuff Design and tell me which of her products you like best. Prize includes choice of The Alice in Wonderland Purse or another purse up to $65. Giveaway closes at midnight EST on Friday, January 27th. Did you win last week's Um Yum Gourmet Treats giveaway? Find out now. How lovely! Please enter me. My favorite from The Write Stuff Design page is definitely the Great Expectations purse! These purses are wonderful! Thanks for the chance! What a fun giveaway! Love it!! ... and I am completely smitten with the Great Expectations book purse!! Ok I have to enter, my friend Sarah would ADORE one of these and would make a wonderful birthday present for her. I know it says "or" but I liked The Write Stuff also just because their awesome. I know it's one entry but I had to like both. It's so hard to pick one things I like, but I'm going to go with the: "Wicked / Son of a Witch Book Purse"
She picks the best covers! I'm crazy about these and want to win so badly! Who couldn't use another bag? Sign me up! I think my fave is the Alice and Wonderland one... so whimsical. Good word, huh? I liked BNC on FB... is that new? Good to know, so now I'll post notices to my reviews there too! Love what you're doing with this blog! 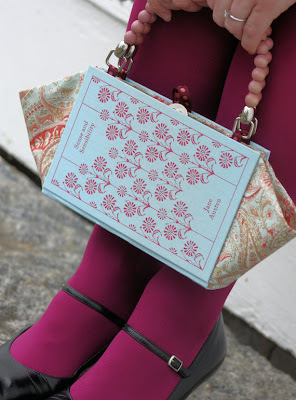 I love the Jane Eyre book purse...too cute! These are such fun and unique bags...love 'em! :-) Thank you. Thanks for the giveaway. The purses look cute. I like the Scrabble books/journal. I like the Alice in Wonderland purse best - cool stuff!! How cute! I would love one! Ok, I LOVE these. So so adorable and unique. I love these purses, thank you for the chance. My favorite is the Jane Eyre, and the one you are giving away. Also love the Little Women clutch; my very very favorite book of all time. 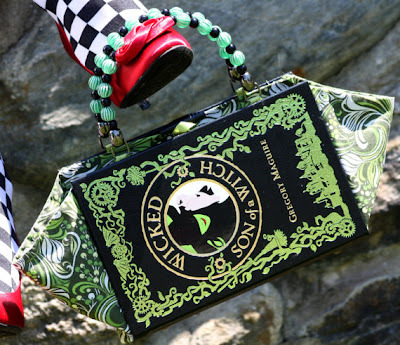 My Favorite purse in their store... Is the Alice one or the Wicked Witch. It would have been Pride and Prejudice (which is my actual favorite book), but I am not a fan of light colors. The Jane Erye purse colors are great, but I've never actually read the book so I can't choose it, lol. I need to read it now. I also really liek the Scrabble board books and such. 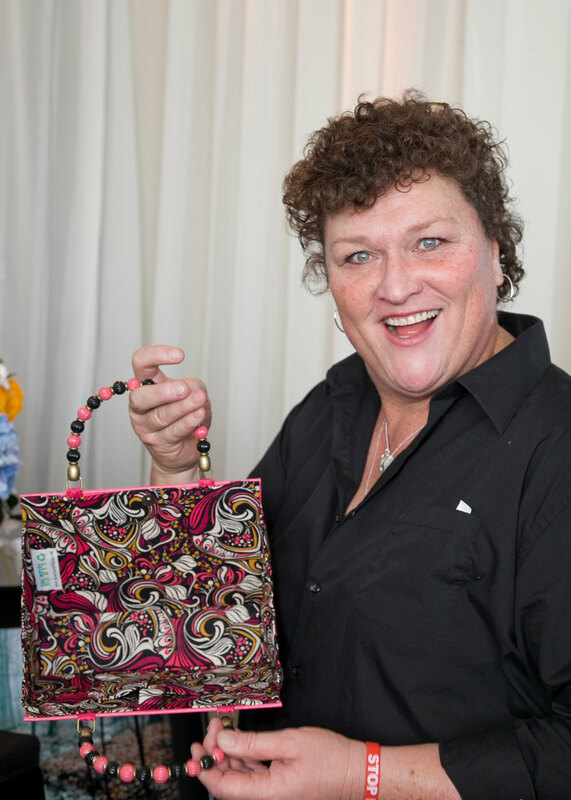 I'm a huge fan of Kelly Mitchell's work...my favorite is her Jane Eyre purse! Following Book Nook Club on Twitter! cool! kelly's purses are classy and funky, all in one. my kind of fashion! I follow Book Nook Club on twitter (@RebeccaFH). I like the Italy map coasters. I love the classic titles she uses to make her books - Little Women is my absolute fave!! I love the Jane Austen Seven Novels Book Purse! Neat creations and Alice is one of my fave books. My favorite from the shop is the Dracula Book Purse. My daughter would love to have one of the book purses! Thanks for the chance to win! I like BNC on FB (Suzanne Gregg). I like TWSD on FB (Suzanne Gregg). I love the Scrabble Board Books/Journal/Sketchbook/Album. oh goodness these are so cute! love the Son of a Witch one or Alice in Wonderland, ah. So fun! I love the concept of this bag it's adorable! I want one! Awesome giveaway! I followed the Book Nook Club & The Write Stuff on Facebook. I like the Jane Austen Seven Novel or The Wicked Witch book purse - they are so unique! Oh, how I would love to win this! Thank you for the chance. I really love Dracula...or any of them! They are all adorable!!! I liked Book Nook Club on Facebook too! I liked The Write Stuff Designs on facebook as well. Thanks for this great opportunity! 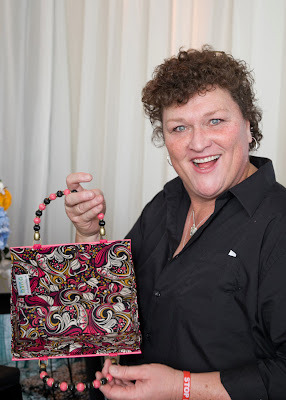 I just love these purses! I LOVE these bookbags! I hope I'll win!! Cutest Book bags I have ever seen! On The Write Site on Etsy...it is all things gorgeously bookish. If I had to pick something other than Alice In Wonderland, I would go with the green Sense and Sensibility as my favorite. Wow! These are fabulous. I love the Great Expectations one. Thanks for the chance to win. Now following you on Twitter. Cheryl Malandrinos liked you on FB. Cheryl Malandrinos liked The Write Stuff Design on FB. I also liked The Write Stuff Design on facebook! What an adorable purse! Thanks for the giveaway! The Great Expectations purse is fab! Just love it! 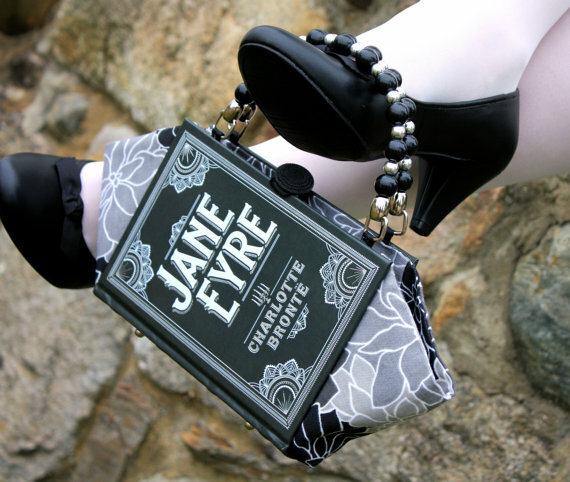 I like the Jane Eyre book purse design. Awesome giveaway!! Wow, these purses are TOO cool! I'd love to win one--of course! I liked both Book Nook Club and The Write Stuff Design on Facebook. And I also think their "Jane Austen's seven novels" purse is the cutest! :-) Thanks for the extra entries!! i would absolutely love to win! those are darling and i would take mine EVERYWHERE! What an awesome way to spread the love of reading! She would treasure a book-purse! What a great bag! Thanks! Love this giveaway!! so cute! I visited the Write Stuff Design etsy page and also love the Jane Eyre book cover purse! How Cute~Thanks for the chance to win! I just love it! Please enter me! OH, and from the Write Stuff Etsy page I soooooo love the Jane Eyre leather book purse! WANT NEED LOVE! I love these purses!!. They are adorable! It is so hard to choose a favorite but I fell in love with the Sense and Sensibility Leather Cover one. I like the Book Nook Club on Facebook. I like the Write Stuff Design on Facebook. That Alice one is my favorite!!! Wicked is a close second. I am a fan of books and purses..love these!! Love Alice In Wonderland.. the Dracula Book Purse is cool too!! I love these already.. so cute! !